I started this site with the intention of writing about everywhere I visited while travelling, and actually wrote a little about the first 6 places I went after leaving my former home in London - However, I didn't ever reach the point where I felt comfortable publishing them for a myriad of reasons that I won't go into here. I do still however want to record these travels, so I came to the conclusion that I will start writing again, and I will publish regardless. For some cities, I may only share photos, from others mostly prose. Prague is an old city with an interesting history, with the land being populated since the Paleolithic Age. The first Prague castle was built in 880, and there are still many buildings that date back to the 9th century (including the Basillica of St George). Prague is also home to the worlds oldest functioning Astronomical Clock. 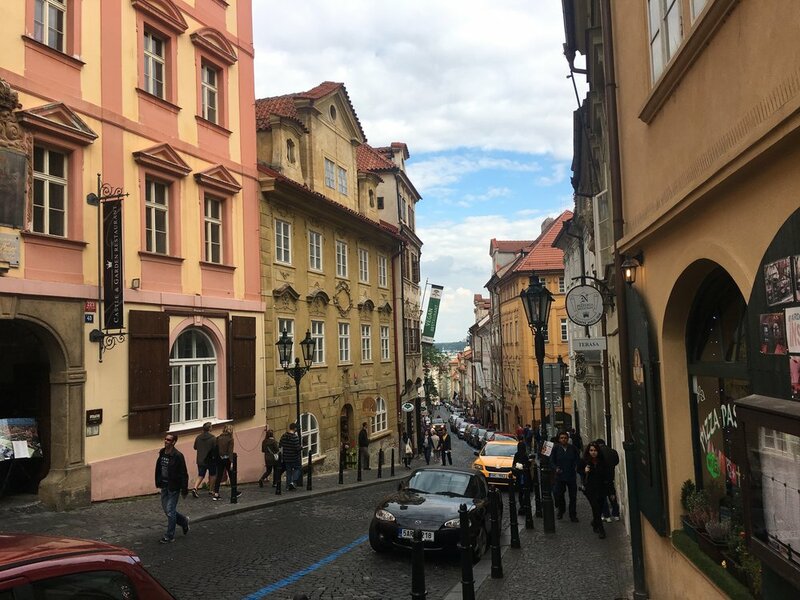 Unlike many places, Prague has maintained a lot of the beauty of the past and you can see this when walking around, with most buildings being beautiful, the churches, palaces, and bridges being truly breathtaking. It was also nice to explore a city that I've never visited before with one of my best friends. Although I enjoy travelling alone, it can be lonely in places where you don't know anyone (this hit me really hard in Toronto in July). Having other people around also really helps to encourage exploring on days where you might not feel like doing much, or to push you to try things that you wouldn't normally do alone.